We are back again with our latest ‘Take Pride in Ipswich’ competition! As part of our partnership with Ipswich Town Football Club, we are holding several joint competitions on social media as we look to encourage the Ipswich public to back their professional sports teams with the hashtag #IpsWitchTown. 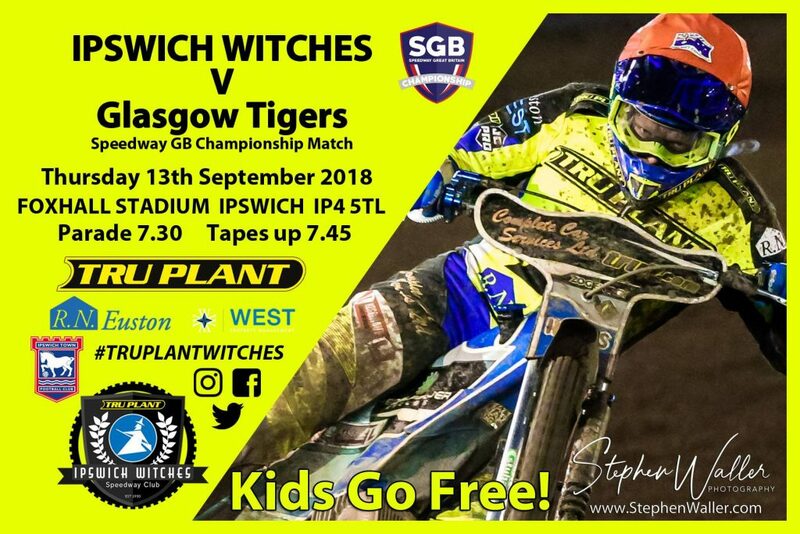 This week, we are giving you the chance to win a pair of tickets for Thursday’s big clash at Foxhall against the Glasgow Tigers and a pair of tickets for Tuesday’s Championship match at Portman Road between Ipswich Town and Brentford. Sound good? To enter, follow the instructions below. To enter via Facebook, all you have to do is make sure you ‘like’ and ‘share’ this post. To enter via Twitter, all you have to do is ‘retweet’ this tweet. To enter via Instagram, all you have to do is ‘like’ this post and make sure you are ‘following’ us and Ipswich Town. Entries will close at 12pm on Thursday 13th September. The winner will be chosen at random and contacted via their social media channel that afternoon. The winner must be able to attend the meeting at Foxhall on 13th September and the game at Portman Road on 18th September.